Jon Beck is a graduate student from Portland, Ore., who is working this summer at General Motors as part of the Environmental Defense Fund's Climate Corps program. GM is one of the more than 100 organizations participating in the program that allows specially trained graduate students to analyze the companies' energy management practices. While Beck and his teammates will leave GM with suggested improvements, he admits he's leaving the project with a new appreciation of what GM is doing today. 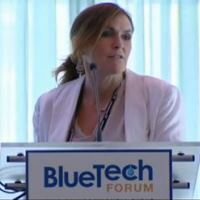 Posted to YouTube on July 30, 2013, by the Water Environment Federation, this video shows Terri Jordan, senior vice president of business development at Crystal IS, discussing its UVC-LED technology and go-to-market strategy during BlueTech® Forum 2013. Crystal IS was selected as the most disruptive technology at the event. To learn more about Voltea, visit booth 775d at WEFTEC 2013 or attend the presentation there at 12:30 p.m. Oct. 8 in the 2013 WEFTEC Innovation Showcase & Pavilion. 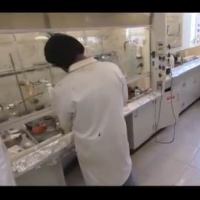 This Veolia Environmental Services North America video, posted to YouTube on June 28, 2013, describes the evolution of its remote opener technology that assists customers in handling, safely removing, managing, and treating reactive chemicals. As a driver for Waste Management, you use your CDL to help the company serve its customers safely, efficiently, and to grow your fulfilling career. 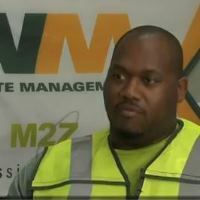 If you're ready to join a team of professionals that love what they do, apply online at http://wastemanagement.jobs. This USGS video provides insight in to the life of the common loon as captured by research scientists using modern technologies. Scientists used satellite telemetry and archival geolocator tag technologies to gain critical information on migratory movements of breeding loons in the Upper Midwest to guide conservation planning. 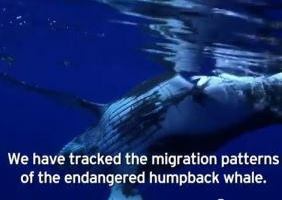 Critical pieces of the puzzle included identifying migration staging areas and wintering areas, and also important information from dive profiles to describe foraging patterns. This information is necessary for state and federal agencies tasked with managing populations of loons in the face of stressors such as disease, pollution, and climate change. This Texas Parks & Wildlife Department video shows how, following a wildfire in 2011, a crew from American YouthWorks helped to restore devastated Bastrop State Park, mirroring the work of the Civilian Conservation Corps of the 1930s. For information about Bastrop State Park, visit http://www.tpwd.state.tx.us/. To learn more about the Texas Conservation Corps, visit http://www.texasconservationcorps.org. The Georgia Ports Authority has decided to put dozens of historic trees located on its property under protective governance, now and into the future. "These massive oaks located on GPA property are awe inspiring and have been here long before we were," said GPA Executive Director Curtis Foltz. 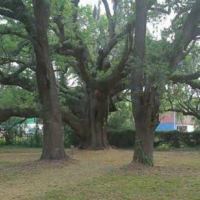 The two oldest trees are located at the Garden City Terminal. The oldest is 92 inches in diameter and is estimated to have taken root in 1645. The second oldest is 91 inches in diameter and is estimated to have taken root in 1649. "Our mission is to grow our business in environmentally responsible ways," said Foltz. "Protecting the tree canopy around the fourth busiest container port in the nation is just one project we've undertaken as part of our sustainability initiative." 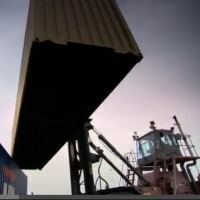 EPA SmartWay: Any way you ship it, move it the SmartWay. EPA SmartWay is a public/private collaboration with a goal to make the freight industry more sustainable. EPA and its SmartWay partners are advancing technologies and operational practices in the freight supply chain that are reducing greenhouse gas emissions and annually saving shippers and their freight carriers millions of dollars in fuel and related operational costs. Waste Watch Program -- Manatee County, Fla.
Local law enforcement and emergency officials now have some additional help in protecting the neighborhoods of Manatee County, Fla. following the launch of Waste Management's community safety program Waste Watch. Through this program, Waste Management drivers will act as an extra set of eyes and ears for local police, fire department, and emergency services and report any suspicious activity they witness during their routes. Waste Management partners with the Manatee County Sheriff's Office and City of Holmes Beach, Longboat Key, and Palmetto Police Departments. "We are pleased to partner with Waste Management on this crime prevention program," said Sheriff Brad Steube. "This type of neighborhood watch initiative will enhance the safety of Manatee County communities and provide law enforcement officers with an extra set of eyes on the street to protect our neighborhoods and our citizens." As global population increases, so does the gap between how much food is needed and how much food is being produced. Learn how Dow is helping farmers by providing innovative agriculture solutions for a growing world. A joint project of BP Wind Energy and Sempra U.S. Gas & Power, the Flat Ridge 2 Wind Farm in Kansas is the largest single-build wind farm in U.S. history. The project represents a major investment in renewable power for U.S. consumers. Located on a 66,000-acre site spanning Harper, Barber, Kingman and Sumner counties, the Flat Ridge 2 Wind Farm is the largest wind farm in the state of Kansas and will be able to power 160,000 homes by the end of 2013. 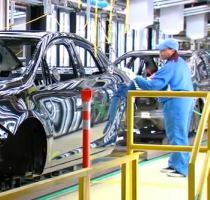 Flat Ridge 2 created more than 500 jobs during the peak of construction, and some 30 permanent jobs will continue to monitor and maintain the facility now that it is in full commercial operation. To learn more about BP Alternative Energy, visit our website here: http://www.bp.com/alternativeenergy. Engage the Public. Preserve the Planet. EPA Administrator Lisa P. Jackson introduces EPA's International Public Participation Guide, an online toolkit. The Guide will help decision-makers to identify, design, and implement public participation programs that help address the environmental challenges in communities. EPA developed the Guide for use in developing countries, although it has a global application.